IMPORTANT: With b4.0.371, GCA was updated to use your My Documents folder and the Windows application data folders for various data and runtime files used by GCA, instead of keeping them all within the installation folders. This change improved compatibility across various versions of Windows, especially Vista and 7. If you have custom data files stored in your GCA installation folder, you should manually move them to My Documents before you install these updates. Only the official releases of data files should remain in the GCA installation folders. As of b4.0.408, the installers here will CLEAR the data files folder in the installation folder before installing the updated data files; this will NOT affect any files you have in My Documents. Please be sure to download and install BOTH the GCA 4 Patcher and the GCA 4 Data Update. Also, note that we may release a data update in the future without releasing a patch at the same time, so check here periodically to see if a new data update has been released. GCA 4 Patcher (4.0.423) – The GCA 4 Patcher will patch only the GCA4.EXE program executable, and install supporting run-time files. It will not update any data files, character sheets, etc. The patch will update existing GCA 4 release installations to version 4.0.423. You may need to turn OFF your Anti-Virus or Anti-Malware programs for the duration of the patch process. Patching appears to such programs very much like malware injecting itself into another program. GCA 4 Data Update (29DEC2016) – The GCA 4 Data Update will update only the data files. 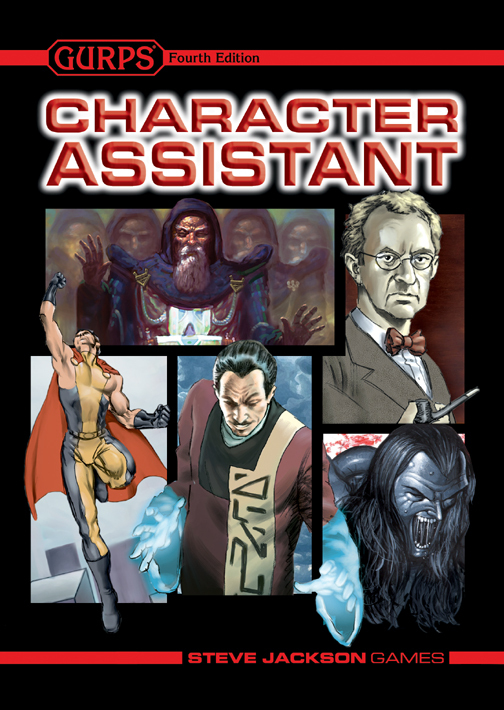 It will install all the current versions of various types of data, including data files for GURPS books, character sheets, export filters, any included graphics, etc. This Update will overwrite any existing versions with the versions included in the Update. If you have made changes to any of the files that you wish to preserve, you should back them up to another folder before running the Update. You can also use the PAR2 file to verify the integrity of the download. 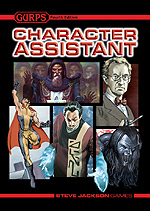 This update includes updated versions of all existing GURPS book data files, and the included character sheets. Changes to the data files.